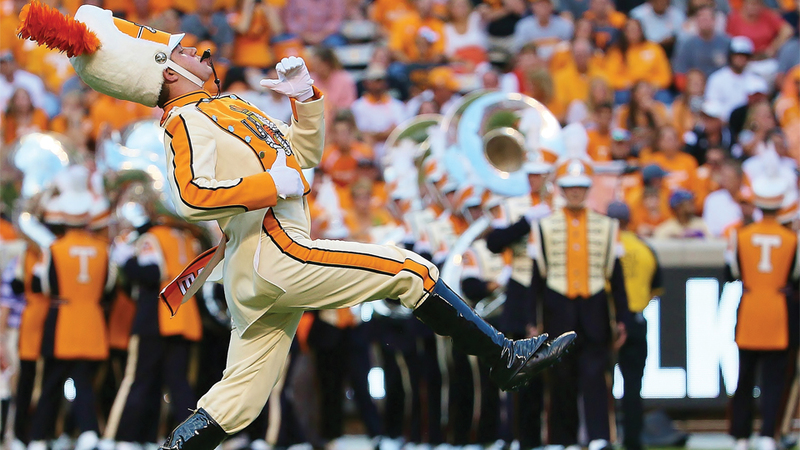 The Pride of the Southland Band drum major is a symbol of unwavering leadership. The Volunteer Statue. 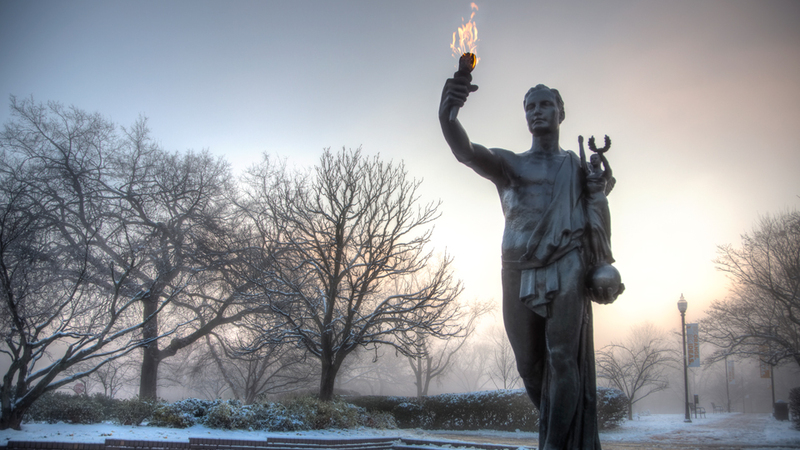 "One that beareth a torch shadoweth oneself to give light to others." Students on the Pedestrian Walkway. 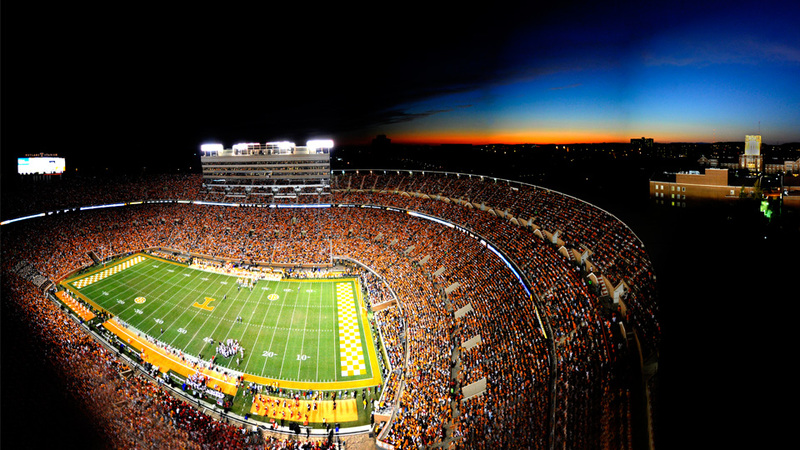 Neyland Stadium and the Hill at sunset. The Hill and iconic Ayres Hall with vibrant downtown Knoxville in the background. Tennessee is ranked No. 1 in the nation by the Environmental Protection Agency for green power consumption by a university. 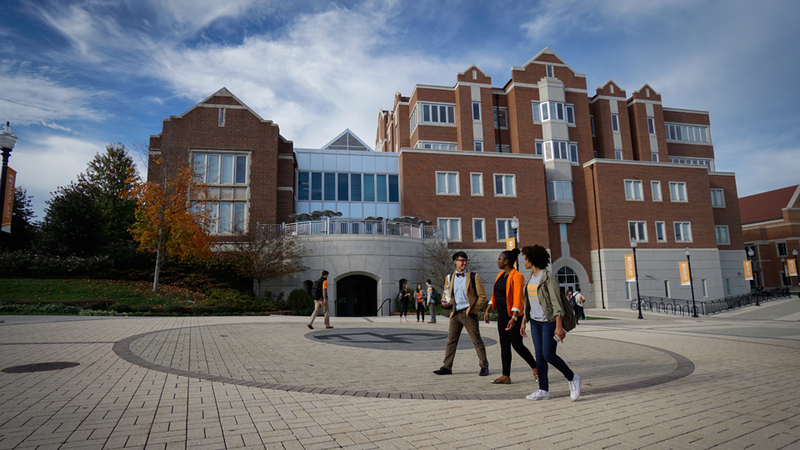 Tennessee's graduate programs in supply chain management, nuclear engineering, and printmaking are ranked in the top ten by U.S. News & World Report. 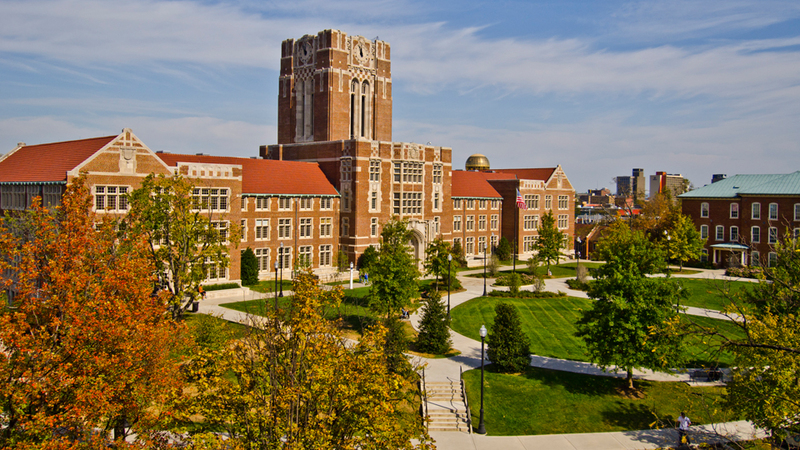 Tennessee's Rocky Top Battalion was the first Army ROTC program founded at a state university. The Financial Times ranks Tennessee’s Haslam College of Business as the fastest-growing public institution for executive education programs. Tennessee's Design-Build program in the College of Architecture and Design was named one of the top seven in the nation by Study Architecture.